Filling out a 501(c)(3) application can be a daunting experience, especially since many who set out to start non-profits are armed with nothing more than a generous heart and enthusiastic drive. Knowing what to expect, as well as what exactly it takes to complete the process, can it make it much less intimidating. What Is A 501(c)(3) Application? A 501(c)(3) application, more commonly known as 501(c)(3), is an application required to start a non-profit group formally recognized by the government as such. Without this application filed and approved, a charitable organization will not be eligible for most public and private funding, and their donors will not receive tax credit and deduction for their giving. It is imperative that any 501(c)(3) hopefuls fill out the application completely and correctly, or else their group is running unofficially and missing out on many benefits. The application, called the Application for Recognition of Exemption by the IRS, is lengthy, but well worth the effort. Churches and public charities that gross less than $5,000 annually are not considered eligible for 501(c)(3) status without proper notification, and everyone else must make themselves available through this public inspection process to stay in alignment with governmental rules and eligible for financial boosts with foundations and benefactors. Filling out the form itself can take you a few hours to a few weeks, depending upon how much time you can devote to it, if someone else is filling it out for you (many people hire laywers), etc. Take the time to do it correctly - it will speed up your turn around time if you are meticulous from the get go. 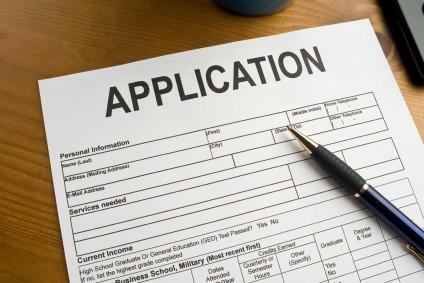 The IRS states that if your application is complete, then they can issue you a tax exemption number quite quickly. In most cases of accurate applications, the entire process takes about a month. More complex, or rather incorrect applications, take approximately 3-7 months to complete. Many people will tell you that using an attorney is the only way to fill out a 501(c)(3) form correctly. This is far from the truth, as the IRS receives many apps filled out by individuals who do it just fine. The benefits of taking your time and being properly educated in procedure will ensure you are added to the ranks of those who get their status approved quickly and efficiently. Ask questions of associates who have completed the process before, or call the IRS directly. This will save you significant time and money. If you are wisely taking the cautious route and reading up on the process before applying, you can purchase a book like one of the ones found on Amazon that touch simply and clearly on the subject of 501(c)(3) application. When you are ready to fill out your application, you can find it through websites such as DocStoc, or visit your local IRS for an official application. Currently, it is not available online. You can also visit a website such as Legal Zoom, where for a fee, they will not only get the application from you, but fill it out and mail it in for you as well.